Adam had a lot of adversity to overcome as a child. He lost his father to suicide at the age of seven and bounced around to nine different homes by the time he was seventeen. Adam was bullied in school which ultimately led to him being home-schooled. In the midst of his childhood turmoil one constant in Adam’s life was his love for sports. He was a natural athlete who loved snowboarding, water skiing, basketball and anything else sports related. Adam’s love for sports led him down the path of learning about fitness and nutrition. Adam got started with his career in fitness in 2001. His first entrepreneurial venture was as a child of ten so it seemed natural for Adam to become an entrepreneur in fitness. 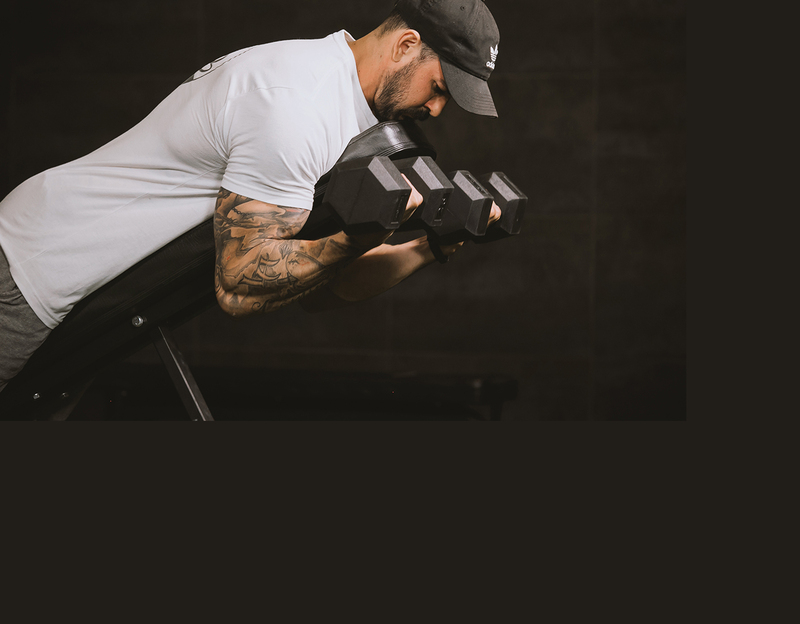 As a part of his ongoing quest to learn and grow in his career Adam has obtained certifications from top fitness training institutions including the International Fitness Professionals Association, the National Academy of Sports Medicine, the National Council on Strength and Fitness, and the National Exercise and Sports Trainers Association. Adam also prioritizes his own fitness and worked diligently to become an IFBB Men's Physique Pro which allows him to compete as a professional bodybuilder. Early in his career Adam discovered that he loved to train and teach others. He has worked with over 1000 people as a trainer and fitness expert and deeply values the lessons he has learned from clients. In addition to training clients one-on-one Adam has also led boot camps, provided nutrition consulting, and helped other trainers improve their sales and leadership skills. Adam has found a way to train and teach even more people through Mind Pump. Adam found that combining his passion and expertise with that of Sal, Justin, and Doug gives him the opportunity to make a big impact on the fitness industry. He hopes to change it for the better and bridge the gap between wellness and performance. Through Mind Pump, Adam wants to offer a media outlet that provides fitness and health education in the most entertaining way possible.